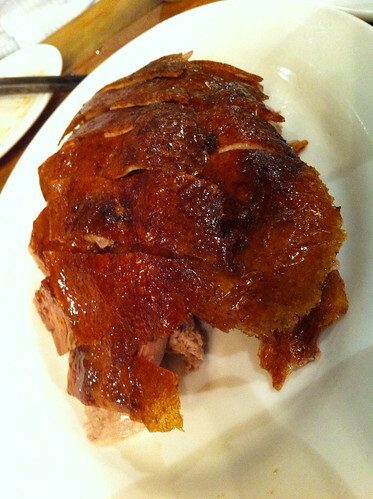 After I first discovered Mao back in March 2009 I've been back a number of times to gorge on their Beijing duck, but I've only just realized that I've never blogged about it again since my first visit. 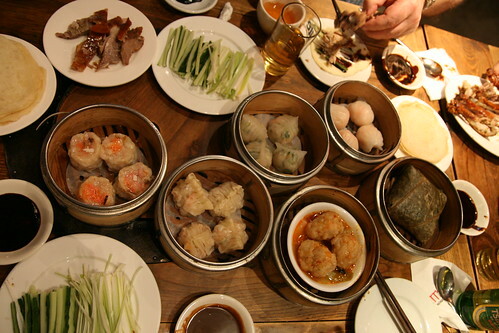 The dumplings are still up to scratch. 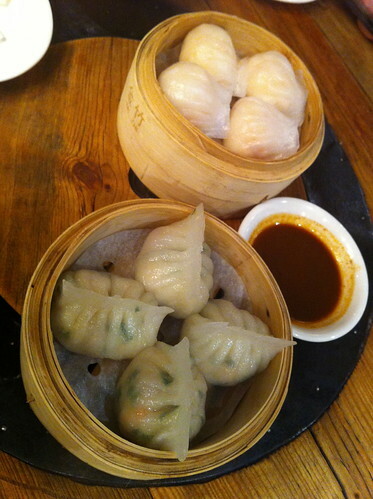 Both prawn, and prawn and chive dumplings were handmade on the premises and were steamed to perfection. 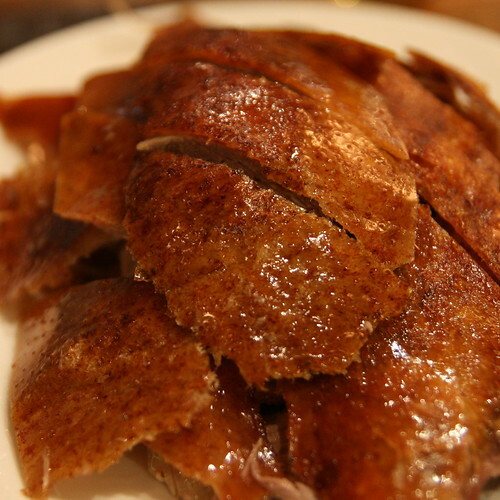 We went for a whole Beijing duck complete with crispy skin, tender meat and a plate full of legs and wings to gnaw on. Mao will happily restock your pancakes whenever you need more and there's plenty of cucumber, spring onion and hoisin sauce to accompany your juicy pieces of duck. 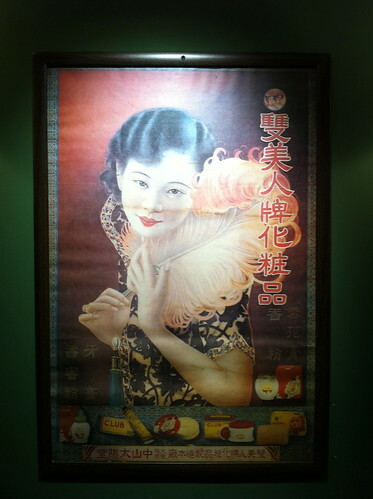 We also ordered the deep fried noodles with seafood in oyster sauce. 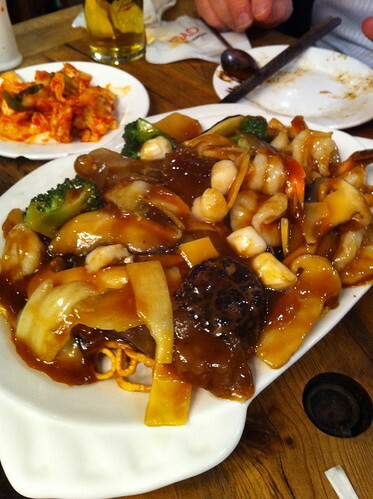 A large portion, dotted with tiny scallops, large prawns and soft squid pieces. 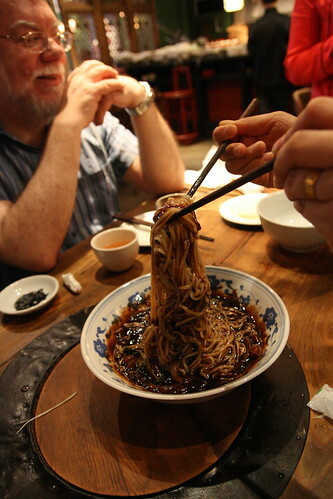 The noodles hold their crispness if you get to them fast enough, but then they absorb the unctuous sauce and become delightfully chewy. Mao is about 300 metres down the hill from the Grand Hyatt Hotel and is opposite the Sri Lankan embassy. Call them on 02 793 8845. If you have enough spare cash then pop down there for some of the best duck in town, you won't be disappointed.